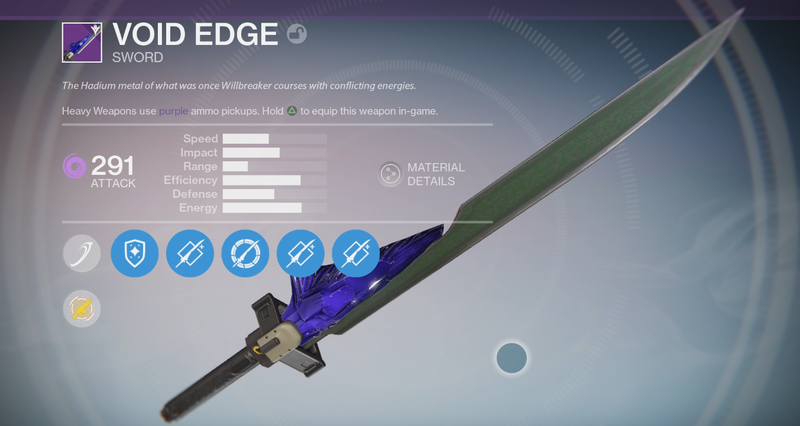 Our Destiny: The Taken King guide will show you how to unlock the highly-sought after sword. For this, you need to complete a quest line from Erin Morn called A Broken Will. However, before you jump into it, you need to complete certain steps to unlock it. We’ll elaborate on what steps you need to follow so you can unlock the Arc Edge, Sol Edge or Void Edge – whichever you choose. This quest arc will take you no more than 30 minutes. Before you start fantasizing about a murderous spree with your brand new sword, you first need to complete the main story missions in Destiny: The Taken King – including Regicide, the final mission where you need to face Oryx aboard the Dreadnaught. 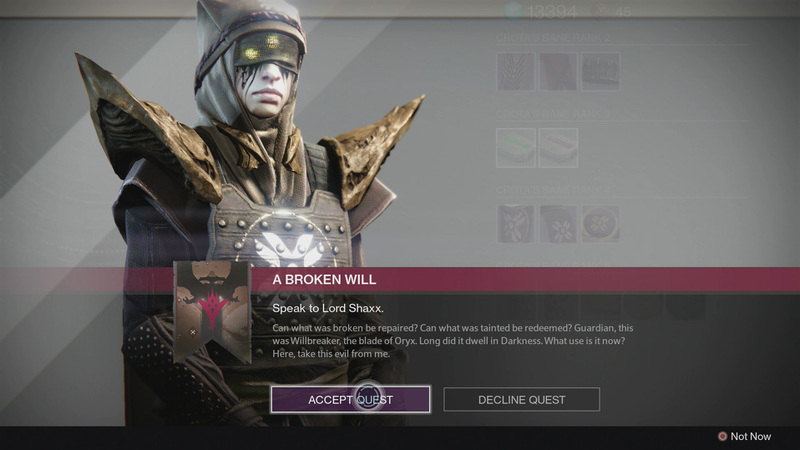 Afterward, you need to complete the Dread Patrol quest, which you can get from Cayde-6. This NPC can be found by traveling to the Hall of Guardians at the Tower. You’ll have to put up with some back and forth traveling, but it’s worth it. 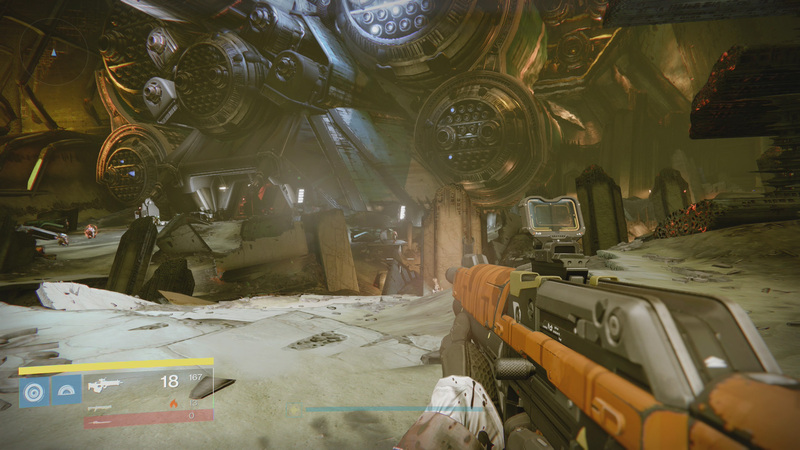 Your mission is to go to the Dreadnaught and place some beacons in order to get access to the patrol option. Once done with Dread Patrol, you need to get back to the Tower and initiate a conversation with Eris Morn. Don’t go to the initial spot where you first spoke. The NPC moved and it can now be found just inside the Hall of Guardians. Speak with her so you get the A Broken Will quest-line. 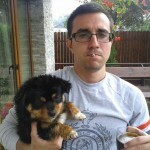 The quest-line starts super simple. After you first speak with Eris Morn, just turn around and you’ll find Shaxx. He’s just a couple of feet away from her, he’s basically unmissable. After you’ve done chatting with Shaxx, head towards the Dreadnaught. Shaxx will give you the task to gather 25 Hadium Flakes and 10 Motes of Light. This can only be done by going to the Dreadnaught. If you have completed all of the main story missions, including Dread Patrol, you’ll have access to the patrol option inside the Dreadnaught. You need to go to Orbit in order to choose a patrol option on Oryx’s ship. Choose the Level 35 patrol option. You’ll be transported to another region that goes by the name Hull Breach. Don’t go exploring all willy-nilly, because you’ll only waste time. After you’ve spawned inside the Hull Breach, go straight ahead until you reach the middle area located in front of you. You’ll notice that a pretty large ship has smashed into the Dreadnaught’s side. Just down below the huge wreckage, you’ll see a ravine. Follow the path and it will eventually lead you to a Mausoleum-like place. Here you can grab Hadium Flakes. 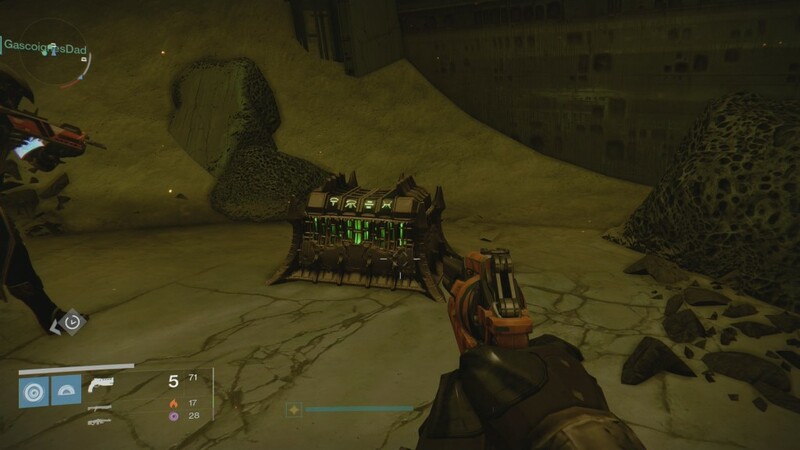 Sure, there are other locations inside the Dreadnaught where you can open chests filled with Hadium Flakes, but this is the fastest way to get them. What you need to do is patrol in a circle starting with the place you’ve found your first chest. You’ll see a few more rooms to the side of the entrance. These rooms also contain chests. There are about two to three chests in this area. Just keep patrolling until they respawn. Once you’re done, get back to Shaxx. You won’t see any indicator above his head that lets you know he’s ready to chat so you’re going to have to trust me this time. Once you give him the resources he needs you’ll be able to choose the sword you desire. You’re done Guardian. Now head out and do some damage with your brand new toy-sword. Don’t forget, for the Broken Will quest-line, you first need to complete all the main missions, including Regicide. 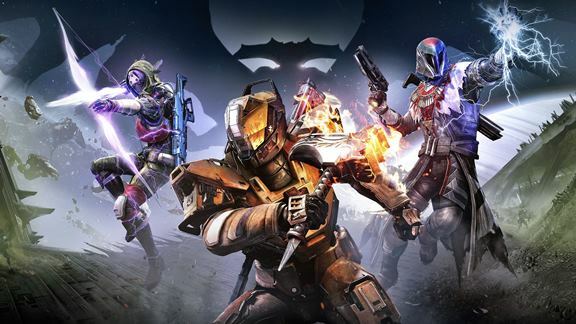 I hope this Destiny tips and tricks article helps you in your quest for glory. If you have any questions, feel free to post in the comments section below.